A pioneer of the fine arts movement in the UAE, Abdul Qader Al Rais’s work is inspired by his Emirati environment and the Arabic alphabet. His oils and signature watercolors have been exhibited in more than 30 solo exhibitions around the world, and he has represented the UAE in many international art events. His many awards include the inaugural Sheikh Khalifa Prize for Art and Literature (2006), first prize at “The UAE in the Eyes of its Artists” exhibition (1999), the Golden Palm Award at the Gulf Cooperation Council Art Exhibition (1999), and first prize at the UAE Exhibition in China (1991). He received a bachelor’s degree in Sharia Law from the United Arab Emirates University, Al Ain in 1982. Working in drawing, photography, artist’s diaries, and found objects, Abdullah Al Saadi has exhibited both in the UAE and internationally. In 2014, Sharjah Art Foundation presented his solo exhibition “Al-Toubay”. He has participated in many other shows, including “Emirati Expressions”, Abu Dhabi (2013); “Art of Body and Performance in the Gulf Region”, an exhibit of 16 artists, at New York University, Abu Dhabi (2013); the 10th Sharjah Biennial (2011); the UAE Pavilion at the 53rd Venice Biennale (2009); “Languages from the Desert” at Kunstmuseum Bonn (2005); the 26th São Paulo Biennial (2004); the 6th Sharjah Biennial (2003); and “Five Artists from the UAE”, Ludwig Forum for International Art (2002). He received a bachelor’s degree in English Literature from the United Arab Emirates University, Al Ain, in 1993, and studied Japanese art at Kyoto Seika University from 1994 to 1996. A painter and sculptor, Abdulraheem Salim has had more than 10 solo exhibitions in the UAE, Bahrain, Kuwait, and Egypt. 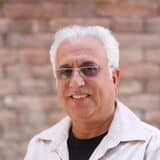 His work has been exhibited in numerous international art events, including the annual exhibitions of the UAE Fine Arts Society (1981-2001); the Gulf Cooperation Council Art Exhibitions, Doha, Qatar (1983); the first and second Al Banoosh Exhibition (1983, 1984); the second National Arts Exhibition, Sharjah (1985); “Negative-Positive”, Al Ahli Club, Dubai (1983); the 5th Sharjah Biennial (2001); the Cairo Biennial (1988, 1992, 1995); the Bangladesh Benallie (1995); the first exhibition of the UAE Fine Arts Society in India (1990); “Arabian Colors”, Sharjah Museum of Art, Sharjah (1996); “The UAE in the Eyes of its Artists”, Abu Dhabi (1998); and The UAE Expo Hanover, Germany (2000). 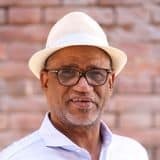 His many awards include the State Honor Award for Fine Arts, UAE (2008), the Jury’s Award at Cairo Biennial (1992), and the silver award at the 6th Bangladesh Biennial (1993). He received a bachelor’s degree in sculpture from the College of Fine Arts, Cairo University, in 1981. Painter and sculptor Abdulrahman Zainal has had solo exhibitions at the Abu Dhabi Cultural Foundation (1992), the Al Ahli Club, Dubai (1992), the Lancaster Hotel Hyde Park, London, (1980), and at Dubai High School (1973). He has shown his work as part of group exhibitions around the world and regularly participates in the annual exhibitions of the Emirates Fine Arts Society. His awards include second prize for “Environment Day” (1998), second prize for “Expressive Faces” (1998), and the “Golden Dana”, Kuwait (1998). He received a bachelor’s degree in Fine Arts from Cairo College of Fine Arts in 1978, and undertook postgraduate studies at Edinburgh Fine Arts College. A founding member of the Emirates Fine Arts Society, Ahmed Al Ansari’s exhibition marking the inauguration of Radio Sharjah in 1972 was the first ever solo exhibition in the UAE. 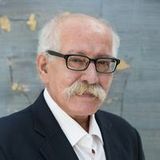 Since his solo exhibition at the Hilton Abu Dhabi in 1979, he has exhibited his work at many events, including the 21st exhibition of the UAE Fine Arts Society (2003); the 4th Sharjah Biennial (1999); the annual exhibition of Gulf Cooperation Council Artists (1994); and the 9th Exhibition of Fine Art at the Cultural Foundation, Abu Dhabi (1994). He was recognized at the third exhibition of Gulf Cooperation Council Artists (1994) as a pioneer of the fine art movement in the UAE. 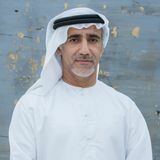 Ahmed Sharif is a member of the Board at Emirates Fine Arts Society and served as its director from 2006 – 2008. He has participated in many exhibitions and festivals across the world since 1993. He has won many prizes nationally and internationally and has participated in the Sharjah Biennial (1997), Cairo Biennial (2001), Arab University Biennial (2001), Mahaba Biennial (2003), Dhaka Biennial (2003), Tehran Biennial (2005), and the EMAAR international Symposium, Dubai (2005). 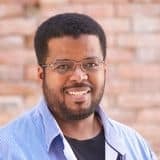 He holds a bachelor’s in Economics from the United Arab Emirates University. A pioneer of conceptual art in the UAE and the Middle East at large, Hassan Sharif has played a major role in promoting contemporary art in the region through his diverse works, which include live performance, drawing, photography, multimedia, and synthetic works. He was a founding member of the Emirates Fine Arts Society in 1980, and founded the Free Atelier at the Youth Arts Theater in Dubai in 1987. His solo exhibitions include “Hassan Sharif”, Alexander Gray Associates, New York, USA (2014); “Approaching Entropy”, Gallery Isabelle van den Eynde, Dubai (2013); “Works 1980-2012”, Safir Gallery, Beirut, Lebanon (2012); “Hassan Sharif – First Grade”, GB Agency, Paris, France (2012); and “Experiences and Things”, Qasr Al Hosn Cultural Palace, Abu Dhabi, 2011. He has participated in many group exhibitions and international biennials, including the annual exhibitions of the Emirates Fine Arts Society since 1980; several editions of the Sharjah Biennial (1993, 1997, 1999, 2001, 2003); Biennials in India (2014), Sydney (2012), Venice (2009), and Cairo (1998); “One Day”, Al Maria Art Atelier, Sharjah (1985); and “Negative-Positive”, Al Ahli Club, Dubai (1983). He is the author of four books: “Sharp Tools to Create Art (1995), “The New Art” (1995), “The Concept of Art”, (1997), and “The Five”, (2003). He published cartoons in newspapers and magazines between 1970-1979, and received a diploma of Fine Arts from Byam Shaw School of Art, London, UK, in 1984. 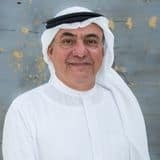 A pioneering artist who has made invaluable contributions to the fine arts movement in the UAE, Dr. Mohamed Yousif was a founding member of the Emirates Fine Arts Society, and was Chairman of its Board of Directors for several terms. Motion and stillness feature prominently in Yousif’s works, which have been exhibited in art events around the world. He has participated in all exhibitions organized by the Emirates Fine Arts Society since its inception in 1979, and organized the exhibition “Exiting In” at his house in 2003. He is the former chair of the Board of Directors of the Sharjah National Theater. His awards include the UAE Honor Award (2009) and the first golden prize at the Bangladesh Biennial (2004). He received a Ph.D. in Fine Arts from Manav Rachna International University, India, a Master’s degree in Fine Art from Webster University, Missouri in 2000, and a Bachelor’s degree in Fine Art from the Cairo College of Fine Arts, Egypt, in 1978. A natural sculptor whose spontaneous works are inspired by the local environment, Mohammed Abdullah Bulhiah is a member of numerous cultural societies and organizations, including the Emirates Fine Arts Society, the GCC Art Friends Group, Al Jidar Fine Arts Group, and the Al Iyab Fine Arts Society. 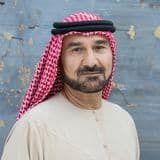 He has organized several solo exhibitions, and been involved in a host of local and international art events, including the UAE Fine Arts Society’s exhibitions between 1986 and 1993; the first three Sharjah Biennials (1993-1997); the first GCC States’ Plastic Arts Exhibition (1989), and “Portraits”, UAE Fine Arts Society (1995). Additionally, he participated in most of the local and international exhibitions organized by the Emirates Fine Arts Society from 1985 to 2000 in 17 countries around the world. He represented the UAE at the International Festival of Love and Peace in Korea, where he won a gold medal. He has received many awards, including first place in sculpture at the general exhibition of the Emirates Fine Arts Society and the sculpture award at “The UAE in the Eyes of its Artists”, hosted by the Cultural Foundation, Abu Dhabi. 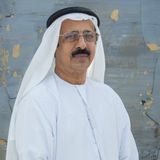 Multimedia artist Mohammed Al Qassab is a member of the Emirates Fine Arts Society, where he has served in several positions on its Board of Directors and founded the Outreach program. 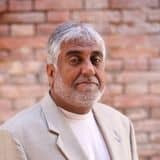 He has exhibited in many exhibitions, including “Rathaiyyat” (Elegies), a solo exhibition he organized at his residence in Sharjah (2004); the Annual Exhibitions of the UAE Fine Arts Society (1982-2014); The Exhibition of Arab Artists, Kuwait, (1983); the first and second Al Banoosh exhibitions (1983, 1984); The Fine Art Bazaar, Sharjah Expo Center (1984); the GCC Youth Cultural Festival, Japan (1985); Exhibition of Arab Artists, Kuwait, (1985); the first GCC Fine Arts Exhibition (1989); the Abu Dhabi Cultural Foundation Exhibition (1986); the Social Work Festival, North Korea, (1989); the third Cairo Biennial (1992); the first, second, and third Sharjah Biennial (1993, 1995, 1997); the fifth Cairo Biennial (1995); and the “Arabian Heritage from Sharjah to Japan” exhibition at the Museum of Art, Ishikawa Ken, Kanazawa, Japan (2010). He was artist-in-residence at The Art House in Düsseldorf, Germany, in 2014. He has been on many jury committees, most notably for the 27th exhibition of the Emirates Fine Arts Society and the 2014 Al Burda Award. His works are in the collections of Abu Dhabi’s Ministry of Culture, Youth and Community Development, the Barjeel Art Foundation, the UAE Ministry of Foreign Affairs, and the Sharjah Museum of Art. As a representative of the UAE, he has won the gold prize twice: at the first GCC Fine Art Exhibition (1989) and at The Silver Jubilee at the GCC Art Exhibition, Muscat (2013). He was recognized by the GCC Ministry of Culture as a GCC Creative Artists in Riyadh in 2012. A member of the Emirates Fine Arts Society, Mohammed Kazem is a conceptual artist whose works depict changes in sociopolitical and natural environments worldwide. 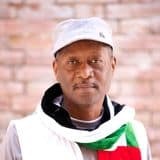 His work has been exhibited at the Havana Biennial (2000), Dhaka Biennial (2002), Singapore Biennial (2006), the University of the Arts, Philadelphia (2010), and at the Mori Art Museum, Tokyo (2012). He also represented the UAE at the 55th Venice Biennale (2013). His many awards include the first award for synthetic works at Sharjah Biennial (1999), and the Sharjah Biennial Award (2003). He studied fundamentals of drawing at the Emirates Fine Arts Society (1984-1987), and music at Rayat Institute of Music, Dubai (1990-1991). He recently obtained a Master of Arts degree from the University of the Arts in Philadelphia. From 1999 to 2007, he served as supervisor of the Free Atelier at Youth Arts Theater. A member of the Emirates Fine Arts Society, Moosa Al Halyan has exhibited his work in many group exhibitions, including the second Al Banoosh Exhibition, Al Wasl Club, Dubai, (1984); the sixth GCC Youth Exhibition, Abu Dhabi, (1990); two UAE University exhibitions (1988, 1990); the annual exhibitions of the Emirates Fine Arts Society (1984, 1986, 1987, 1988, 1990); the Teacher’s Society, Khor Fakkan, (1988); the second and third editions of the Sharjah Biennial (1995, 1997); the Arab Youth Festival, Riyadh, (1982); and the Bangladesh Biennial (1996), as well as exhibitions in Madrid, Muscat, Bahrain, and Khartoum. He won the top prize at the GCC Exhibition, Oman (1988), and the third prize at “The UAE in the Eyes of Its Artists” Exhibition, Abu Dhabi Cultural Foundation (1998). Painter Dr. Najat Meky is a member of numerous cultural societies and organizations, including the Emirates Fine Arts Society, the GCC Art Friends Group, Al Jidar Fine Arts Group, and Al Iyab Fine Arts Society. She has had many solo exhibitions, including “Distinctive Marks”, Sharjah Art Museum (2001), and other solo shows at the Emirates Palace, Abu Dhabi (2011), the Sharjah Art Gallery (2005), Sultan Bin Ali Al Owais Cultural Foundation (2006), Abbekos Gallery, Sweden (2007), Emirates Fine Arts Society’s Gallery, Sharjah (2007), and the Cairo Atelier (1992). 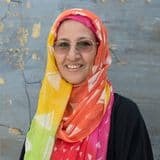 Her group exhibitions and international shows include the Luxor 6th Photography Forum, Luxor (2013); Arab Female Artists Exhibition, Sharjah (1995); China International Sculpture Symposium (2008); the first three Sharjah Biennials (1993, 1995, 1997); and the Tehran Contemporary Art Biennial (2002). Her many awards include the State Honor Award in Science, Literature and Arts (2008). She received a Ph.D. in Metal Coins from Cairo College of Fine Arts in 2001. A member of the Emirates Fine Arts Society, Obaid Suroor is in charge of the Society’s Atelier in Ras Al Khaima. 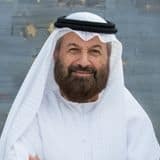 He has exhibited his paintings in numerous exhibitions, including all exhibitions of the Emirates Fine Arts Society, organized within the UAE and abroad, the Exhibitions Center, Ras Al Khaimah (2002, 2003), “The UAE in the Eyes of its Artists”, The Cultural Foundation, Abu Dhabi (1998), the Jarash Festival (1996), the Bangladesh Biennial (1995), the 5th Cairo International Biennial (1994), the third GCC Regular Exhibition (1994), the Cairo Biennial (1988), the first and second Al Banoosh Exhibitions (1983-1984), the Fine Arts Bazaar, Sharjah Expo (1984), the Sharjah Biennial (1995, 1997, 1999, 2001), and exhibitions n Algeria and Saudi Arabia. He received a bachelor’s degree in Fine Arts from Cairo University in 1979. A member of the Emirates Fine Arts Society, Salem Jawhar has exhibited his work in many exhibitions, including “The Pioneers”, marking the UAE Fine Arts Society’s silver jubilee (2006), the sixth Audiovisual Exhibition (2003), the sixth Cairo Ceramics Biennial (2002), the first GCC Ceramics Art Biennial, Kuwait (2001), Sharjah Biennials 2 and 3 (1995, 1999), the UAE Exhibition, Casablanca, Morocco (1993), the Ceramics Art and Arabian Calligraphy Exhibition, Sharjah Expo (1985), the India Biennial (1984), the 8th Exhibition of Arab Artists, Kuwait (1982), the annual exhibitions of the Emirates Fine Arts Society (1982, 1983, 1984, 1994), and the Emirates Fine Arts Society’s Exhibition, Africa Hall, Sharjah (1981). 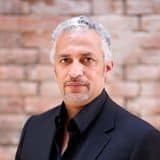 His awards include the third prize at the first Kuwait Ceramics Art Biennial (2001), and first prize in the Sculpture and Ceramics Category for the Al Owais Creativity Award (2014). He received a bachelor’s degree in Fine Art, with a major in ceramics. The exhibition features work by 15 Emirati artists.